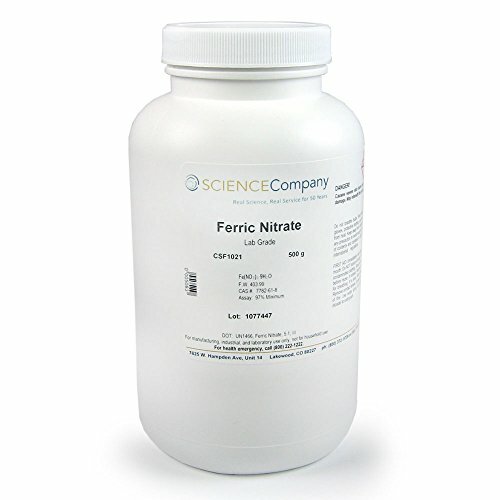 Ferric Nitrate is also called Iron nitrate. Appears as violet crystals and is soluble in water and alcohol. It is a strong oxidant and irritant. Ferric nitrate solutions are used by jewelers and metalsmiths to etch silver and silver alloys. Also to apply patinas to copper, brass and bronze.